You may wonder if it's safe for you to be on birth control pills if you have migraines, especially in terms of your risk of stroke. Women of child-bearing years may take oral contraceptives either in the form of combination birth control pills (contains estrogen and progestin) or just progestin (often referred to as the "mini-pill"). Deciding which birth control is right for you depends on a number of factors, and this is why the decision requires a thorough discussion with your personal gynecologist or primary care physician. That all being said, one factor that may likely play a role in your birth control decision is if you suffer from migraines, especially if you get auras with your migraine headaches. The biggest concern with combination birth control pills and migraines is ischemic stroke, which occurs when a blood clot impedes blood flow in an artery that supplies the brain. According to numerous scientific studies, migraine with aura increases a woman's risk of having a stroke. In addition, there is scientific evidence (albeit not as robust) that women with migraine with aura who also take combination birth control have an even higher risk of stroke. Due to these findings, societies like the American College of Obstetricians and Gynecologists (ACOG) state that women with migraine with aura should absolutely not take combination birth control pills. It's just not worth the risk of stroke (which can be devastating), especially since there are other forms of contraception available. having health conditions like diabetes, obesity, heart disease, high blood pressure, or high cholesterol. If you have migraines without aura, are younger than 35, and are healthy, taking combination birth control is a reasonable option. But if you suffer from migraines with aura, you should not take combination birth control pills. In addition, if you develop auras while on combination birth control pills or you notice worsening headaches, you should report this to your doctor. This way you can safely switch your form of contraception. Calhoun, A. (2012). 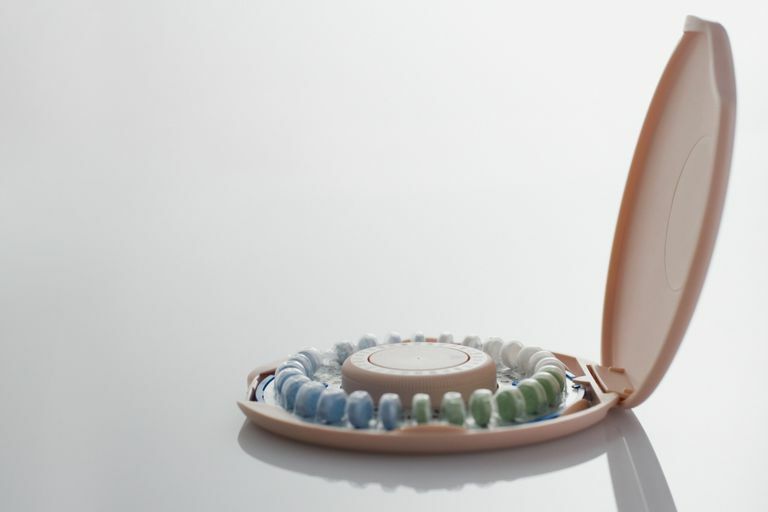 Combined hormonal contraceptives: is it time to reassess their role in migraine? Headache, Apr;52(4):648-60. Edlow AG & Batz D. Hormonal contraceptive options for women with headaches: a review of the evidence. Reviews of Obstetrics and Gynecology 2010 Spring;3(2):55-65. Hutchinson, S. American Headache Society. Use of Oral Contraceptives in Women with Migraine. Nappi, R.E., Merki-Feld, G.S., Terreno, E., Pellegrinelli, A., & Viana M. (2013). Hormonal contraception in women with migraine: is progesterone-only contraception a better choice? The Journal of Headache and Pain, 14(1):66. Sacco S, Ricci S, Degan D, Carolei A. Migraine in women: the role of hormones and their impact on vascular disease. J Headache Pain. 2012 Apr;13(3):177-89.